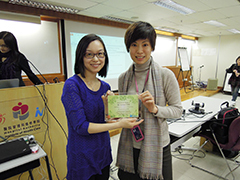 Serene, Chairperson of LPHK, spoke at the Commissioned Programme "Clinical Genetics and Genetic Counseling for Nurses" organised by the Hospital Authority and Institute of Advanced Nursing Studies on 20 January 2014. During the seminar, Serene spoke on the topic "Rare Diseases from the Parents' Perspective". 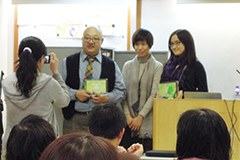 Apart from sharing her experience of taking care of her 3-year-old son with achondroplasia, she also introduced the mission and work of Little People of Hong Kong to the audience.